In our pre vegan days, Justin was a total cheese addict. Seriously, he pretty much ate cheese at every meal and a cheese sandwich or two for lunch was typical. He turned his nose up at practically every vegan cheese I threw at him- he would tolerate it in small amounts on his breakfast sammie or with crackers + vegan pepperoni. Truthfully, I wasn't holding my breath when I asked him to try a slice of Chao. I thought to myself here we go again, but to my surprise he absolutely love it, the cheese reminded him of the deli slices from his childhood, and you know what, he is totally right- only, they are so much better than those old school deli slices. 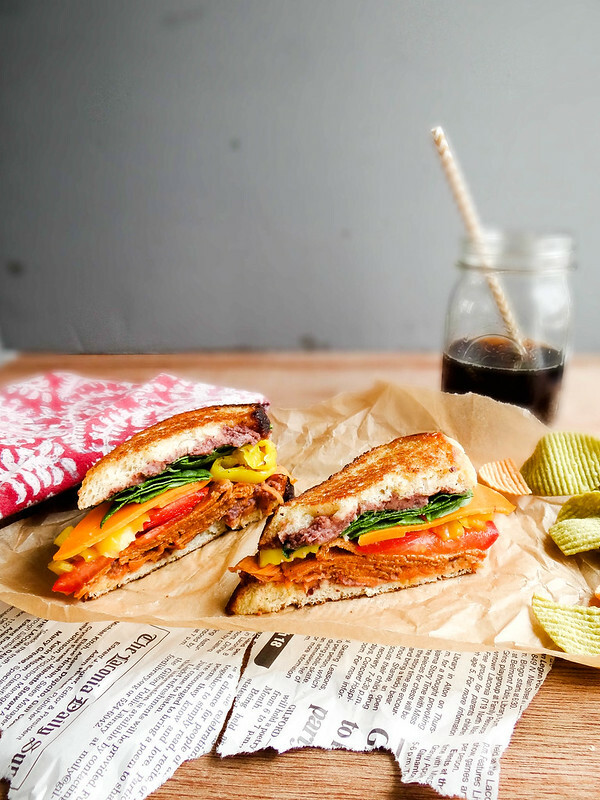 This sandwich is bold, fun and easy to make. 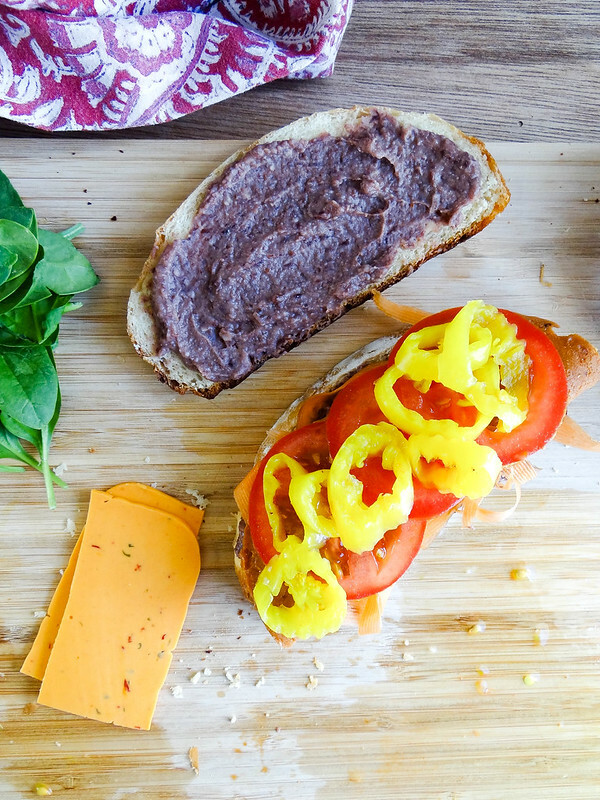 The black bean spread is totally addictive, you can use the leftover spread in a quesadilla or as a dip for crackers or veggies. 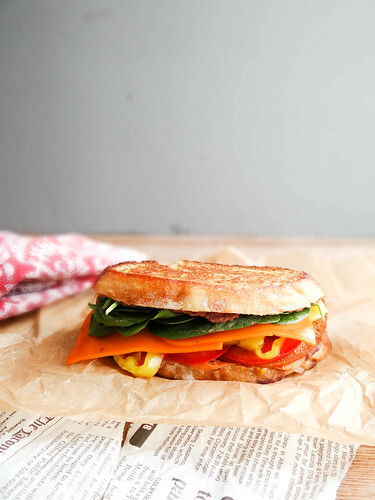 Homemade bread is loaded with fresh veggies, banana peppers, Field Roast Deli Slices + Chao Cheese - then grilled to buttery perfection. 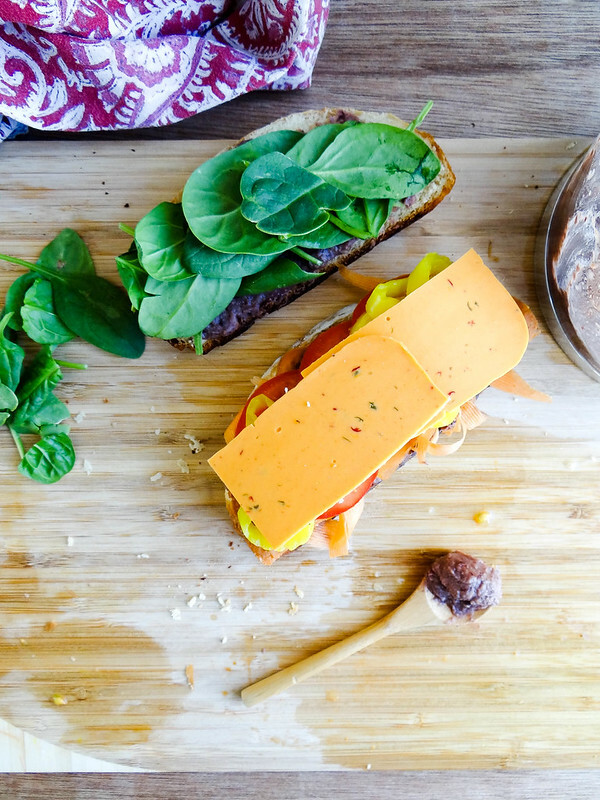 It is a sandwich that takes less than 10 minutes to make, but tastes like it took all day. The homemade bread is totally optional, but is so worth the effort. If not, any artisan bread works! 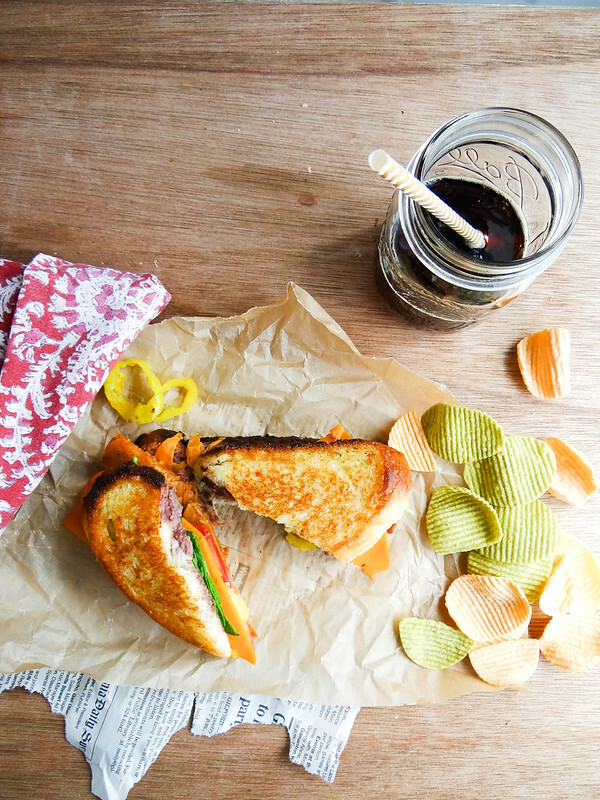 Growing up my Mom would always make us Grilled Cheese Sandwiches with Campbell Tomato Soup- it was one of my all time favorite lunches. 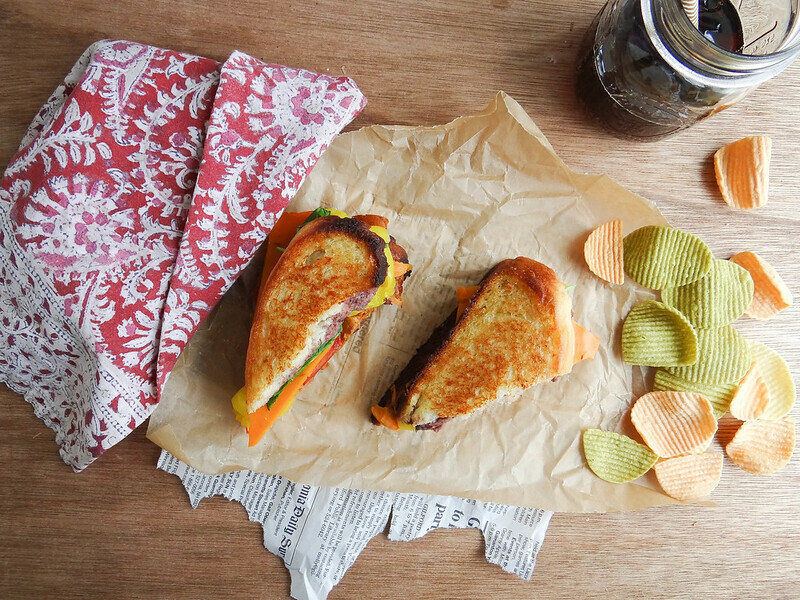 Once in a while, she would get all fancy and add basic yellow mustard + deli ham to our grilled cheese. 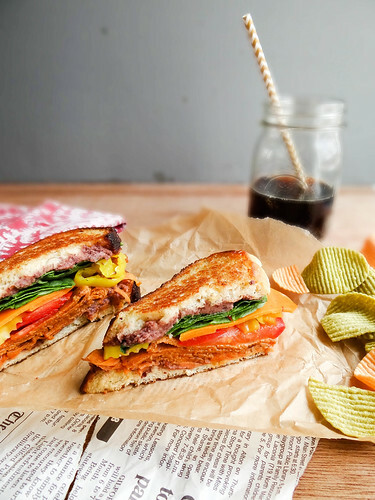 This sandwich is a grown up version of a childhood favorite. 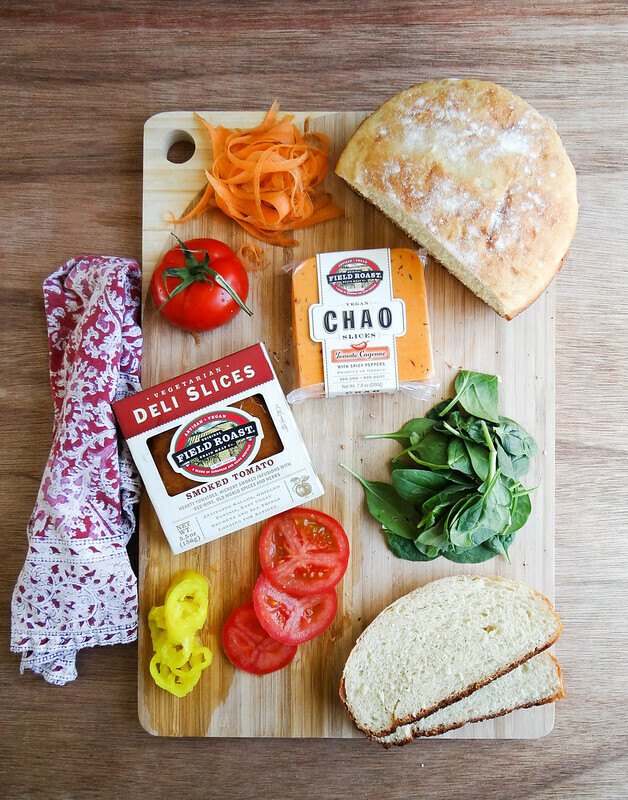 I hope you can find yourself some Chao Cheese, you don't want to miss out on all the fun the next few months are sure to bring, Make sure you check out Chuck's recipe's too (he is a Kitchen Genius! 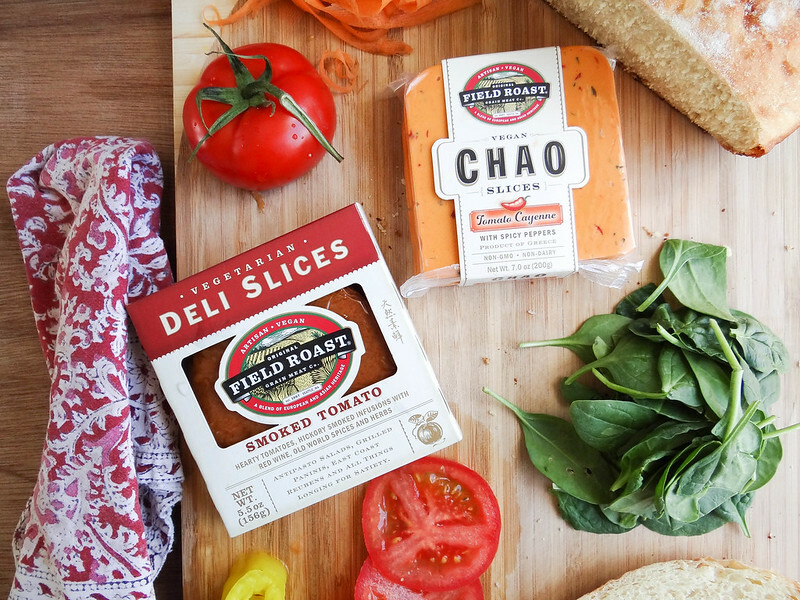 ), over at Field Roast - let us know what you think of Chao, I'd love to know if you love it just as much as I do - seriously, I want to make sure I'm not the only one head excited about Chao! 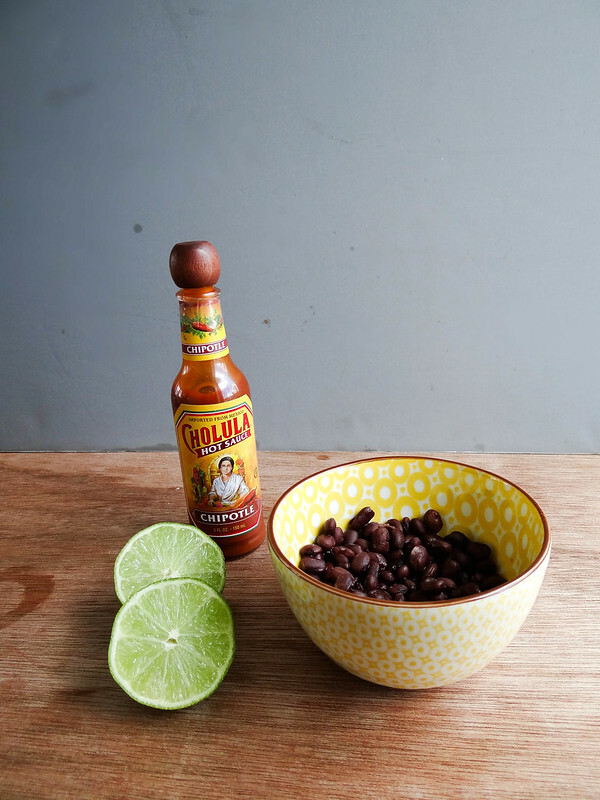 In the bowl of your food processor (a mini processor is great if you have one) fitted with an s blade - add drained + rinsed black beans, juice of 1/2 a lime, salt + Cholula. Process until black bean spread is smooth - about 1-2 minutes. 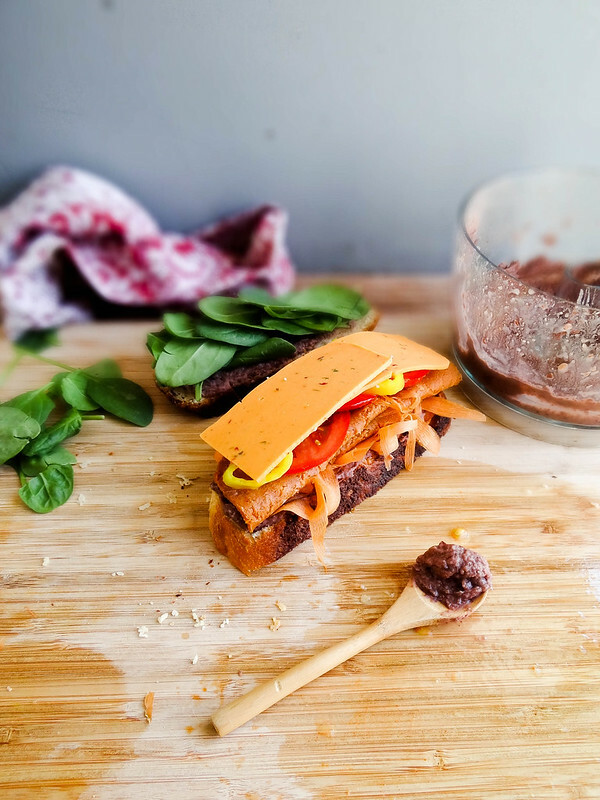 Spread about 1 tablespoon of black bean spread on one side of each slice of bread (2 tbsp total). Place the ribboned or shredded carrot on one slice of the bread. 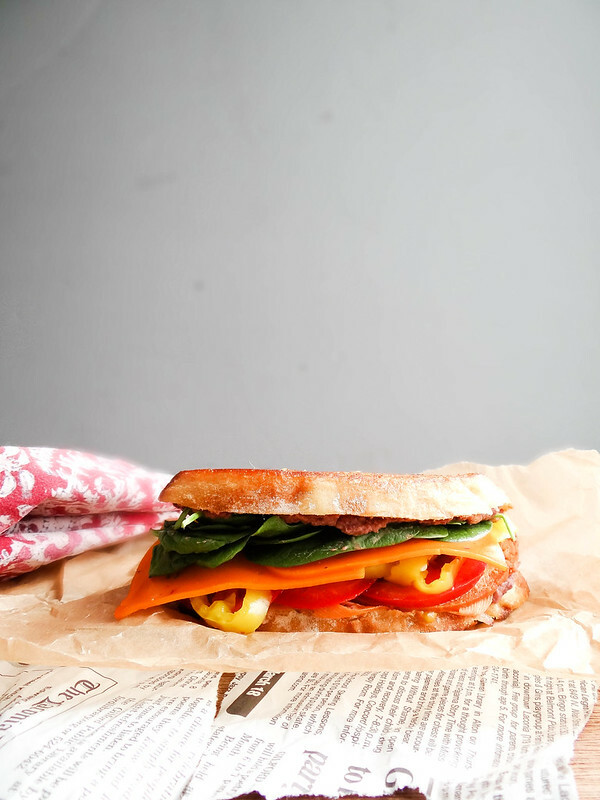 Layer both slices of Field Roast Smoked Tomato Deli Slices on top of the carrots, folding the slices in half to fit the bread. Next, lay the tomato slices on top of the deli slices. Top with the banana peppers + Chao cheese slices, starting with the banana pepper rings. 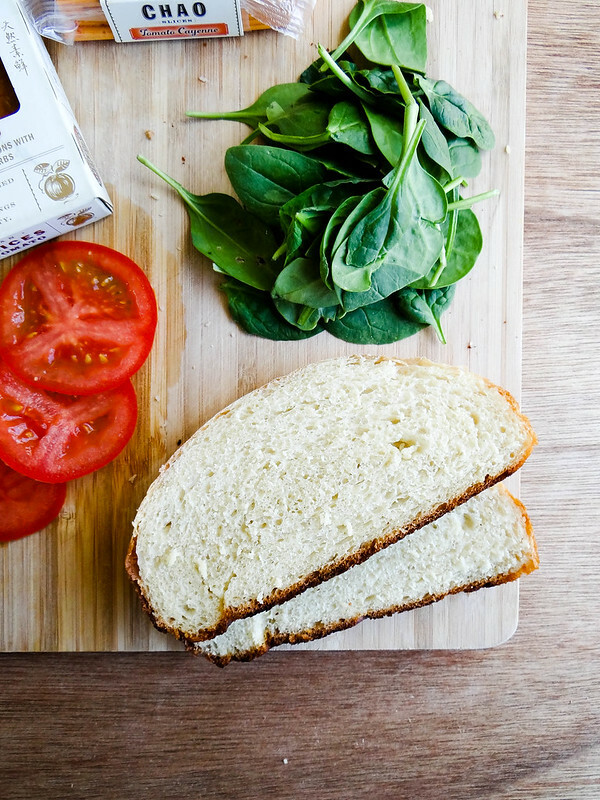 Top the remaining slice of bread with baby spinach, place the 2 slices of bread together creating a sandwich. Heat a small fry pan over medium heat, add a dab of vegan butter + allow butter to melt. 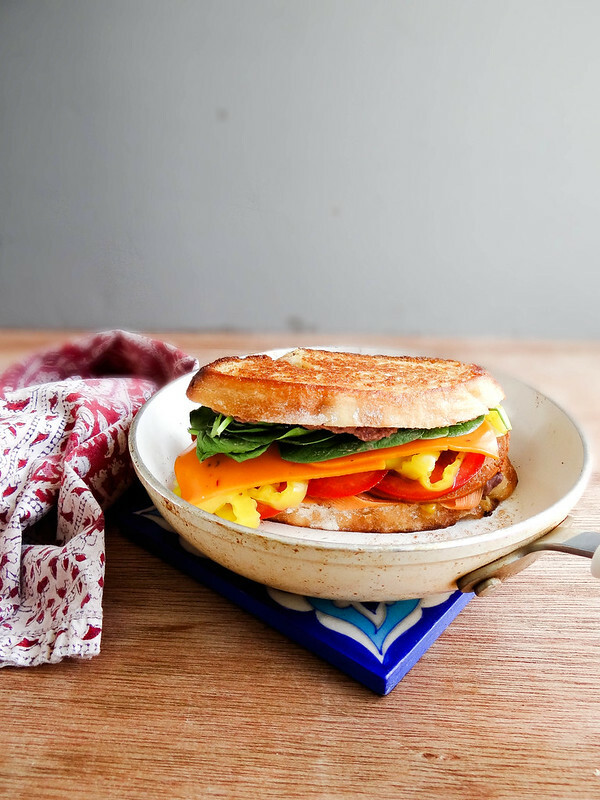 Place the sandwich in the pan and cover with a lid. Cook for 2 minutes, uncover + flip once bread is golden brown. Cook the other side for 2 additional minutes until bread is golden. Remove from the pan , cut in half + enjoy! I know this isn't what the post is about at all but- Cholula is the best!! Looking for some help with your scholarship? Need assistance with an essay writing? Check out this resource guys, you will definitely find in useful. I loathed my college gather ventures. Same poop transpired. I did likewise correct technique; converse with prof and so on no enormous, the individuals who would prefer Write My Essay to empower your or their own development aren't justified regardless of your chance/cash. School is a battle enough, and you're there to make a working grown-up. In the event that you can't act like one, you should sink. Fresh tomatoes would be better. Just herbal the tomatoes and cut, as well as the shower and onion. You can cook the peppers first to get a smoky flavor and then Write My Essay salute with other ingredients in a little fat. Great post. If you are liitted in time, you can purchasing a dissertation for sale and get afficient help from best writers. Appreciation to my dad who expressed to me about this site, this site is really amazing.